…Speaking of closet homosexuals, Jimmy Fallon came by work for lunch the other day, and I just felt the need to point out that he’s significantly taller than I expected. Usually when I meet people in real life that I’ve only seen on the screen, they’re shorter than I expect, but Fallon had a good few inches on me (in more ways than one… hey-o! ), so maybe you can’t judge people entirely from how they are on TV after all…although he did giggle through our entire conversation like it was an SNL skit, so I could be wrong. Last (and probably least), I moved into my NEW APARTMENT in Redondo Beach this week (that’s the southwest side of LA for you outsiders) and it is absolutely baller. It’s a little over a mile from the beach, it’s close to a really nice movie theater, a really nice mall, a lot of my friends, and I even get my own garage. Truly, it is paradise. Pictures to come as soon as we get moved in (and internetted), and you locals should keep your eyes peeled for some kind of social gathering there in the neat future. That’s all the big news, be sure to check back in next week for how YOU can win the opportunity to cook dinner for me for the next several years. Also, does anyone who reads this (and lives nearby) know how to sew a button back onto a shirt? I have need of those services and would be willing to trade goods or services (wink wink) in exchange for your sewing expertise. Hollaback, grrrl. 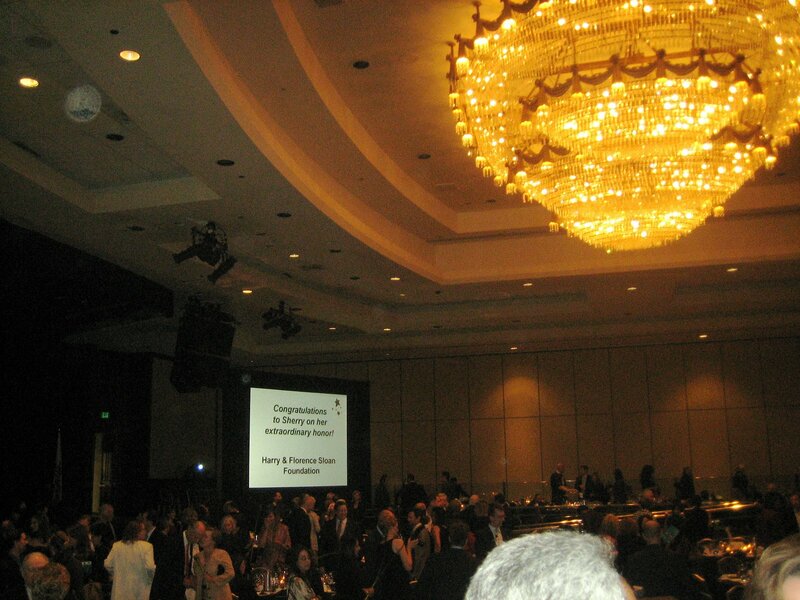 …Nothing says “LA” like attending a $250 per plate charity dinner…for free. Tasty.